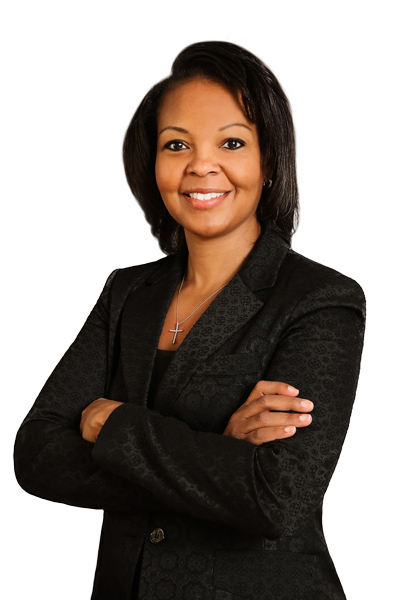 Desiree Ralls-Morrison knows from experience that leading a team is not something that should be approached halfway. So when she joined Boehringer Ingelheim in 2013 as senior vice president, general counsel, and secretary, her goal was to make sure that her lines of communication were wide open in addressing the interests and development of her team members. Having worked as in-house counsel in the healthcare industry for nearly two decades—with more than seven years at Merck and eight at Johnson & Johnson—she knew the industry and its challenges well. And having managed teams at both companies, she also knew that it was important to gain the trust of the people working for her. One of her early priorities was to make sure that her team members knew that she didn’t want to come in and make dramatic changes. Instead, she wanted to get to know the group and see where the strengths and opportunities were. “I think it’s important when you come into a senior management role—especially when you haven’t grown up in that company—to get a sense of the people and culture and set clear expectations,” Ralls-Morrison says. So early on, she partnered with human resources to do a survey of the law department staff and business partners to learn where the organization was and to identify strengths and weaknesses. After setting clear expectations about what was important to her and defining the team’s purpose and mission, Ralls-Morrison set up a number of mechanisms to encourage dialogue among the members. This included monthly lunches with various groups of people to informal monthly touch points with everyone in her group, a suggestion box, and whiteboards where people could leave questions. She also created a group with HR called the BOLD Team—an acronym for Building on Our Law Department—that consists of various individuals throughout the legal and government affairs departments. They work as facilitators who listen to feedback and questions from team members and bring those to Ralls-Morrison directly. The BOLD Team was an immediate hit with her group. The input Ralls-Morrison received was immediately instructive. It showed her ways that her words and messages weren’t being heard the way that she intended and areas where her team needed more reassurance. “There were times when they didn’t feel comfortable asking questions, but once I became aware of their concerns, we were able to easily resolve their anxiety and fears with open communication,” she says. She also realized that sometimes there were opportunities they wanted but didn’t know how to ask for them. For example, although her team was getting internal development and training, they felt they were not getting enough external development and opportunities to network with peers in other organizations. Ralls-Morrison heard their concerns and set up a separate budget for her team members to have those opportunities. With her leadership team, she also rolled out a number of programs to help her team develop in other ways, including giving and receiving feedback from peers and providing in-house learning opportunities on a variety of healthcare topics. In addition to creating new opportunities for development, Ralls-Morrison has focused on behaviors, highlighting areas such as being able to assume positive intent among colleagues and enhancing communication strategies, particularly as they pertain to risk-based discussions. “Lawyers often think they don’t say no to things, but their communication style and body language would suggest otherwise,” Ralls-Morrison says. Another key focus for her was leadership, particularly enterprise leadership, and making sure that every team member was able to hone their leadership abilities. “One of our missions and goals is that we would be viewed as business leaders with legal expertise, as opposed to the legal team,” Ralls-Morrison explains. As all of these programs rolled out, Ralls-Morrison saw improvements in many areas. Employees have become more solution-oriented, and they take on smarter risks and understand business objectives. She also saw improvements in communication, both with her and among her team. “We’re a pretty tight group now,” Ralls-Morrison says. “There was some negativity that doesn’t exist anymore, and we’re all working toward the same objective.” The BOLD Team, which is made up of volunteers, continues to be a major hit as well. In fact, this year there is a waiting list for members. Considering all of this success so far, Ralls-Morrison still views her initiatives as a work in progress, and there are many more programs on the horizon, including team-building events, community service, and an MBA program for nonbusiness team members. “One of the things we’ve found is that in order for us to be able to do our jobs well, we need to understand the business,” Ralls-Morrison explains.